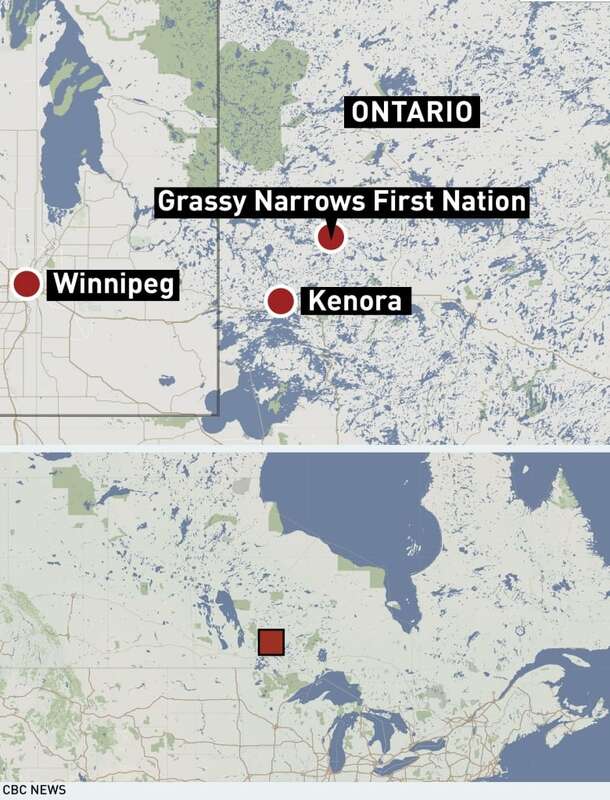 The chief of Grassy Narrows First Nation is calling on the federal government to provide compensation for people suffering the effects of exposure to high levels of mercury and to better resource special education funding in the northwestern Ontario community. The chief of Grassy Narrows First Nation is calling on the federal government to provide compensation for people suffering the effects of exposure to high levels of mercury and to better resource special education funding in the northwestern Ontario community, following the release of a study that shows how the toxic chemical has affected children and youth. "Help us," Chief Rudy Turtle said on Wednesday at a press conference following the release of the report, conducted by Donna Mergler, a Canadian environmental health researcher and expert on mercury poisoning, who the First Nation has commissioned. "What more can we say?" "Compensate our people and help us get our economy back." Mergler's research linked the prevalence of poor health to pregnant women consuming fish caught from the nearby English-Wabigoon River system, which is where Reed Paper, former owners of the mill in Dryden, Ont., dumped thousands of kilograms of mercury-contaminated effluent in the 1960s and early 1970s. Children of women who ate fish once a week or more during pregnancy were twice as likely to have visual problems, three times as likely to have chronic ear infections or overall, general health issues and four times as likely to have a learning disability, a condition that affects school performance and at least one nervous system disorder, according to Mergler's studies. Grassy Narrows remains one of Canada's worst environmental disasters, a fact underscored through research done by fresh water scientist Patricia Sellers in 2015, which found mercury levels still rising in some nearby lakes and Japanese researchers, who determined that more than 90 per cent of the populations of Grassy Narrows and Wabaseemoong First Nations show signs of poisoning. "We've been all affected by mercury as we can see from this report," Turtle said. "I'm asking both governments (federal and provincial) to compensate our community and to really address the problems that we have in our community and start moving forward." The prevalence of mercury in the river also devastated a thriving commercial fishery in Grassy Narrows in the 1970s, and put many guides out of work. Currently, compensation for victims is administered through the Mercury Disability Board, which has been criticized for not approving enough people for disability pensions, and for the amount of money it has provided to Grassy Narrows members since it was established in the mid-1980s. The province recently committed to index pay outs from the board to inflation. Advocates for the community say only about six per cent of Grassy Narrows members get any compensation. In response to Wednesday's report, Jane Philpott, Canada's Minister of Indigenous Affairs, reiterated Ottawa's commitment to a specialized mercury treatment centre in Grassy Narrows. "I met with community members from Grassy Narrows First Nation and Dr. Donna Mergler, who shared some findings of her work examining the impacts of mercury on the people of Grassy Narrows First Nation," she said in an email Wednesday. "This evidence points to several health issues that have been associated with mercury exposure." Philpott's office said it has received the community's feasibility study for the facility. "We agreed to stay in close contact and work diligently to move the project forward as soon as possible." Turtle also called for more access to special education funding in Grassy Narrows, given the extra burden of the effects of mercury. "With the children being affected this way ... I'm asking the federal government to support our special [education] funding," Turtle said. "Because we have these children that have learning disabilities." The community receives high cost special education funding through a federal program available to all First Nations in Ontario, according to the Department of Indigenous Services Canada. Annual funding is allocated, through a formula, with no need to apply; individual communities can then access more funds based on students' needs. Grassy Narrows received over $530,000 from that program in 2016-2017 and 2017-2018, federal officials said. That's up from about $166,000 in 2008-2009, according to documents obtained by CBC News. The community had about $50,000 in surplus funding available for this fiscal year, the department said. Young people from Grassy Narrows, along with Chief Turtle and dozens of supporters planned to rally Thursday at noon to demand Prime Minister Justin Trudeau take action on providing compensation to community members. "If he was serious about reconciliation ... he would be dealing with this Grassy Narrows file," Turtle said. "This should be a priority for him." "It's time that he meet with Grassy Narrows, that he meet with the chief and council, that he meet with our people, that he stand in front of our people and talk to our people."